Popular grey URBAN RULER makes his anticipated return to the races at Doomben tomorrow to kick off his All Star Mile campaign. The five-year-old has rocketed to the top of voting for the inaugural All Star Mile to be held at Flemington on March 16, with almost 7500 votes captured already heading into the final 9 days of voting. The public vote decides 10 of the 14 runners to line-up in the $5 Million race. Trainer Chris Munce has plotted a two-run campaign in Brisbane for the Hancox Racing-owned gelding in the build-up to the All Star Mile, commencing with tomorrow's Cascade Open Handicap (1350m) at Doomben. "He had an easy trial at Doomben recently and I will probably get another into him after Saturday before we head south," said Munce. 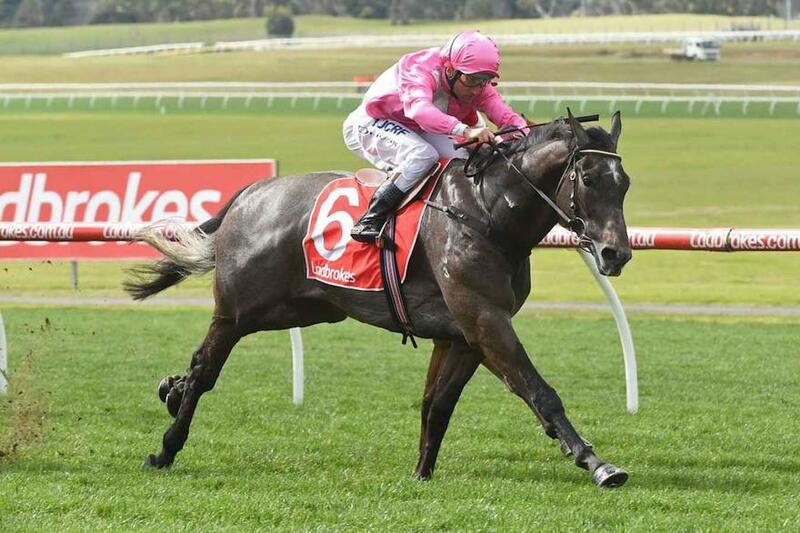 "He has done most of his racing in Victoria so he will handle that way of going. We are being realistic about his chances but it will be great fun for his owners. "If we can finish 10th in the All Star Mile, it is worth $90,000 but I reckon he can beat home more than will beat him." The stable also has three runners heading to the Gold Coast on Saturday. Two-year-old Whittington filly WITCHEL makes her debut in the Aquis Farm QTIS 2YO Hcp (900m) off the back of a recent second in a Doomben barrier trial. The Hancox Racing owned FIRANDE lines up for start No.2 in the Fillies and Mares Maiden (1300m) while recent Doomben winner MYSTIC BROOK drops back from Saturday Metropolitan grade to contest the Fillies and Mares Class 1 (1400m). On Sunday at the Sunshine Coast, SMARTYPY and KEEP YOUR ROSES both resume in the Fillies and Mares Class 2 Handicap (1000m). TRAINER COMMENTS: "She's had enough education and I'm really happy to be taking her to the races. From the good draw, hopefully she can jump and run, and race very competitively for us." TRAINER COMMENTS: "We're looking for an improved effort after her first start at Beaudesert stepping up to the 1300m here." TRAINER COMMENTS: "I'm happy with her going into the race, we've had a bit of rain and I think she should benefit from that. She's very fit and looks a million dollars." TRAINER COMMENTS: "I'm happy with her lead-up heading into the race and a bit of rain around should enhance her chances. The 1000m has been a bit short of her best previously but I'd like to think she's going to finish her race off strongly and be in the finish." TRAINER COMMENTS: "She's had two nice trials leading into this and I'm happy with where she is at fitness wise. It's an ideal race to kick her off in and I expect her to race competitively."